It's been less than a year since Fitbit rolled out its Ionic smartwatch, but the fitness tracking company already has a follow-up planned. The Fitbit Versa isn't an upgrade on the Ionic — in fact, it lacks a couple of key features — but it does address issues that kept some away from the Ionic. The Ionic's biggest problem was the price. At $299, the Ionic wasn't much cheaper than the Apple Watch Series 3, and that was a tough sell. With the Versa, Fitbit has shaved $100 off the price tag, which makes this smartwatch a lot more appealing. To cut the price, Fitbit dropped the GPS from the Versa, which you won't miss unless you're serious about tracking running routes without carrying your phone. The battery is slightly smaller, too, with a 4-day battery life compared to Ionic's 5-day battery life — but any smartwatch you don't have to charge every day is good in our book. And the Versa retains key features: heart rate monitoring, contactless payments and onboard music storage for 300 plus songs. 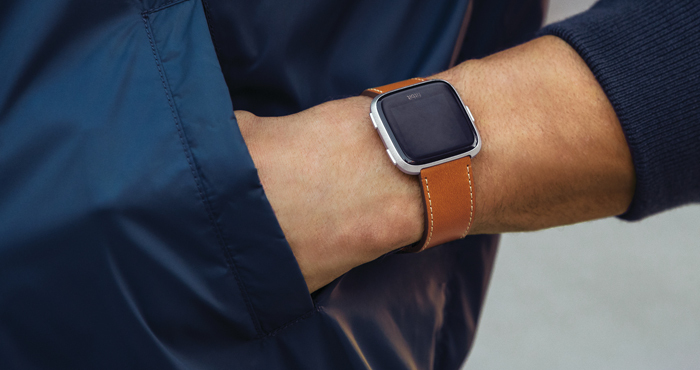 The Versa has a new look, too, and it looks a lot like an Apple Watch. While the Versa lacks the Apple Watch's iconic crown, its gently rounded curves strongly resemble its Apple-branded counterpart. The colors, too, mimic Apple, with a black, gray or rose gold metallic body. If you really want an Apple Watch, though, you can pick up the Apple Watch Series 1 at Walmart.com for the same $199. What you're buying with the Versa are all of the fitness tracking features Fitbit is known for. It tracks steps, sleep, heart rate, and also offers notifications, apps, a "today" screen showing your goals and reminders, plus on-screen breathing and exercise coaching. It's waterproof up to 50 meters (the Apple Watch Series 1 isn't) and it will work equally well with both iOS and Android devices. The Versa (and Ionic) will run Fitbit OS 2.0, which features a new health and fitness dashboard, reminders that become more personalized over time and, for Android users, the ability to send canned quick replies to texts. The Fitbit app is also getting an upgrade for all Fitbit owners. Health features specifically for women are already offered by Apple Health and countless of independent apps, but soon they'll be in the Fitbit app itself. 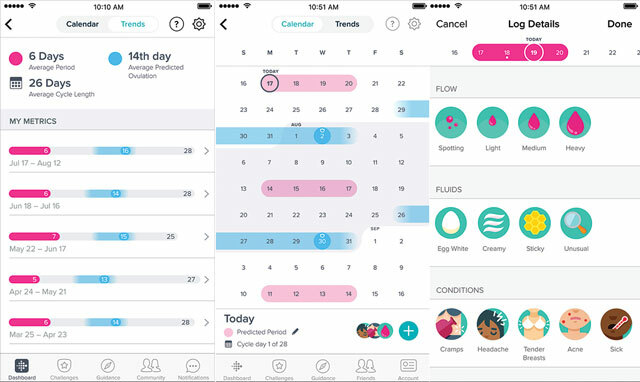 An app update in May will let you track periods and symptoms, putting all of your health data in one place so can easily see how your menstrual cycle affects your activity level. And if you have an Ionic or Versa smartwatch, you can see cycle information on the health dashboard right from the watch. And for new parents, Fitbit Labs will be releasing a New Parent app, which is designed to help track baby's feedings, diaper changes and sleep from their wrist. For parents of older kids, Fitbit just announced the FitBit Ace, which is essentially a kid-size version of the popular FitBit Alta. The Ace monitors activity and sleep but doesn't track heart rate or GPS data. In short, it has everything you need to keep tabs on your kids' activity levels, without overwhelming you with information. 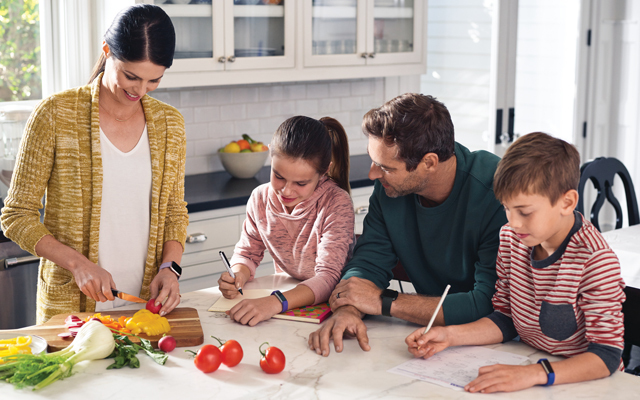 A new family account feature lets parents check in on kids while encouraging everyone to meet their fitness goals. You can compare stats and set challenges for everyone to push one another into getting just a few more steps in. 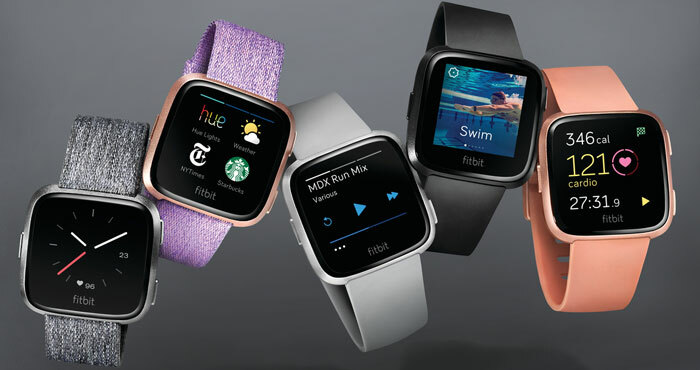 You can pre-order the Versa now for $199.95, with shipping expected at the end of April 2018, and pre-order the Ace for $99.95, with shipping expected in late May 2018.
fitbit has launched Fitbit Versa: a Light & Sleek Smartwatch to their lineup. it is quite expensive but useful too.